Geico appears to be the premier auto insurance provider in the United States. At least that is the impression you get if you watch any ads during any of the major sporting events. I have an auto policy with Geico. It is easy to apply for and it can be done online or over the phone in a short time. Now how does Geico’s auto insurance translate over into the realm of life insurance? Does Geico offer the same great experience for client’s looking to get life insurance as the company offers for auto insurance clients? We will give our answer to that question as well as explore the different types of life insurance offered by Geico. If you are looking for GEICO Life Insurance Reviews then you are in the right place. This article will review GEICO life insurance and point out areas where the company might be the best choice or not the best choice when it comes to finding the right life insurance policy for you. However, be aware that GEICO Life Insurance is not one of the best life insurance companies in the United States because GEICO Life is not really a life insurance company at all. One important note at the outset is that TermLife2Go represents all the same companies that GEICO Life represents. However, we also represent about 50 more companies, in addition to the companies listed for Geico Life Insurance.Therefore, if you are looking for GEICO life insurance quotes, make sure to also view the quotes we offer to make sure you are getting the best life insurance rates. Having said that, know that it’s difficult to give a truly honest review of GEICO life insurance simply because, on the one hand, GEICO Insurance is a fantastic company that has been in business since 1936 and is now the 3rd largest private passenger auto insurance company in the nation with assets exceeding 28 billion dollars. But what does any of this have to do with life insurance? In fact, as you may have read in other GEICO life insurance reviews, GEICO doesn’t offer life insurance at all. Instead, GEICO insurance uses its incredibly successful marketing machine A.K.A., “Martin the Gecko” to generate leads for life insurance which it then shares with another company called Life Quotes. Which means, when you purchase life insurance from GEICO, you’re actually buying life insurance from a third party vendor named Life Quotes, who GEICO has chosen to give its life insurance “leads” to! So now the obvious question becomes… Who is Life Quotes? What we were able to discover by doing some research on Life Quotes was that Life Quotes was founded in 1984 and over the past 30 years they have been able to achieve quite a bit of success having insured over 300,000 individuals! In addition, it looks like they represent most, if not all, of the top life insurance carriers which means that Life Quotes should be able to place just about anyone who qualifies with a quality life insurance company. With that said, there are a few things you might want to consider. Why would the third largest auto insurance company, GEICO Insurance, choose to “outsource” its life insurance leads to 3rd party vendor? After all, one would assume that GEICO Insurance Company has the agents, the call centers, and the customer service representatives needed to take on such a project. So why wouldn’t GEICO just want to begin selling life insurance themselves? Selling life insurance is a lot different than selling auto insurance. After all, it’s much easier to determine the value and condition of a car, motorcycle, or boat than it is to determine the value of a loved one. A previous heart attack or previous stroke. See, the thing is, when it comes to selling life insurance, quoting someone accurately and knowing which insurance company, and the right policy, one should apply with, and for, can become really, really complicated. Add in more difficult cases such as using life insurance for estate planning, funding an irrevocable life insurance trust, or putting together a policy for a buy sell agreement or key man insurance, and you start to get the idea why you might want to look elsewhere when it comes to getting protected. Which is why that whole 15 minutes or less nonsense just isn’t going to fly when it comes to selling life insurance! We titled this section Life Quotes, Inc. Reviews because this GEICO life insurance review has now turned into a review of Life Quotes. From what we’ve been able to determine, Life Quotes, while very successful in what they do, seems to be just another call center insurance brokerage. So ask yourself, what’s the goal? What’s the hurry? If it looks like a call center, sounds like a call center, and acts like a call center, well then…It’s probably a call center. And herein lies the problem when it comes to purchasing life insurance from a call center brokerage — it’s easy to become lost in the mix. Typically, success for an individual agent in a call center brokerage will not be determined by the care given to a client, but by the number of sales an agent makes base on the number of leads they were provided. But this alone really isn’t that big of a problem for most insurance applicants! After all, if you’re young, healthy and just looking for a basic life insurance policy, there’s no reason why you shouldn’t be able to purchase a top notched life insurance policy from Life Quotes (or any one of the other massive call center life insurance brokerages out there). you’re taking a couple of prescription medications? you have a pre-existing medical condition? you simply want to make sure you are getting the right policy with the right company? a more personalized approach to your life insurance? Or would you rather be working with an agent who will have the flexibility and freedom to take their time to find you the best possible life insurance policy that you qualify for? Here is what we recommend to anyone considering Geico or Life Quotes for his or her life insurance needs. Give Geico a call. Then talk with your Life Quotes agent and find out what they can offer. Next, give us a call. Talk with your TermLife2Go agent and find out what they can offer. Finally, compare the two and see which company’s recommendation you believe is the right fit for you. We are an agency focused on finding our clients the best life insurance at the best price. We do this by asking the right questions, taking the time to understand our client’s needs, and placing our clients with the specific company that fits that client’s unique circumstances. Only by doing this can you rest assured that you are getting the best company at the best price—for you! 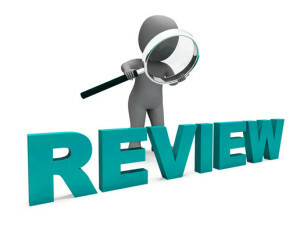 If you enjoyed the article GEICO life insurance reviews or have a question, please leave us a comment below. Very nice information & quite informative thanks. We’re glad you enjoyed the article, thanks for the compliment! Hey Curtis, thanks for the comment. Best of luck to you.